Stockwell Elastomerics has a long history of fabricating battery pads from microcellular polyurethane such as PORON® and silicone foams such as BISCO®. The Elastomerics Blog first touched on battery compartment pads in 2011, but since then, advancements in lithium-ion (Li-ion) battery technology make the topic of battery pads worth revisiting. Today’s light and powerful lithium batteries have changed the way we live, and are used in everything from handheld electronics to, electric vehicles (EV). Unfortunately, if not designed correctly, this useful source of power can become a dangerous source of destruction. Of the three primary lithium cell types (prismatic, pouch and cylindrical), the soft-bodied pouch style is becoming the most popular because of its highly efficient packaging. However, these customizable batteries have an important design consideration that should not be overlooked – the change in battery volume by 5-10% due to swelling. Restricted batteries without room to expand can become damaged and result in a potentially spectacular failure. Li-ion battery pads provide more than just compliance to swelling cells; they also provide mechanical support while protecting against shock, vibration, and thermal runaway. Using a Li pouch cell pad can even improve charging performance because a light force against a pouch battery helps improve contact of internal layers. 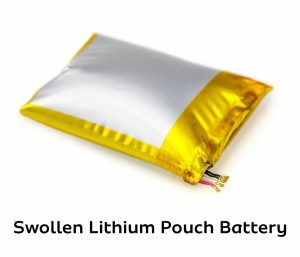 Providing a compressible foam cushion for the battery is at first glance a simple solution, but in actuality, it requires highly technical materials engineered for the challenge. Products such as PORON 4790-92 and BISCO BF-1000 are two materials that are popular and well-suited for this application. Consistent force over a wide compression range for the entire 8-10 year battery life. Resistance against long-term stress relaxation, especially when exposed to high levels of heat. 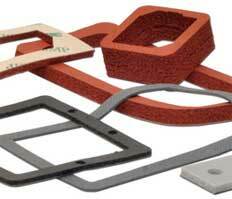 Vibration and shock reducing characteristics to prevent damage. Extreme temperature resistance and thermal insulation to prevent run away. ROHS/REACH compliance as well as flame retardant characteristics. Compression set resistance to prevent permanent deformation. Understanding which materials are best suited for battery assemblies is one of Stockwell Elastomerics’ specialties because we work closely with vendors and customers to study test data and contrast products. If you have a battery pad application and are worried about short circuits, reach out to Stockwell Elastomerics’ application team for a shortcut to the solution. PORON® and BISCO® are a registered trademarks of Rogers Corporation.